Lauren Graham Says The 'Gilmore Girl' Revival Was Her 'Favorite' Project, So Could Future Episodes Be On The Way? It's all thanks to the Gilmore Girls Netflix revival being announced that the hearts of fans — broken when the show left the air in 2007 — are finally mended. Yes, we're excited for our Stars Hollow homecoming, and apparently the stars of said show were just as excited to come back too: during an interview with E! 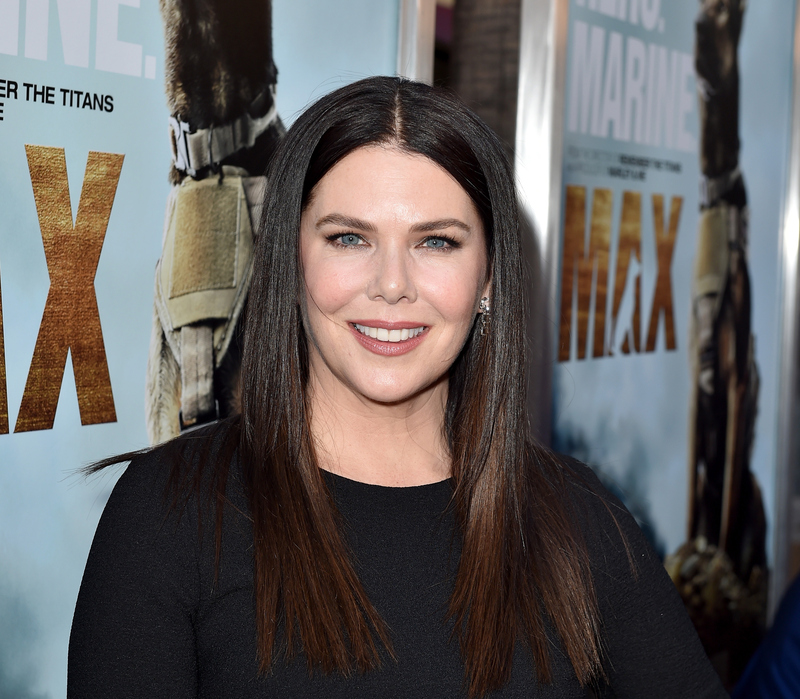 Online, Lauren Graham said working on the Gilmore Girls revival was her "most favorite thing" in her career — a bold claim from someone who already played perpetually caffeinated chatterbox Lorelai for seven years. Does her exuberance mean we could get more Gilmore Girls episodes, or are we just being... well, starry-eyed? One thing to be (cautiously) optimistic about is the fact that Graham's role reprisal, according to her, felt in no way inorganic or overdone. "It’s not even a do-over, it’s just to go back with an understanding of how rare it all was and is," Graham said. "Plus, I just love that material. I love it. I never get tired of it." Girl, same. Even better, Graham isn't alone: Thus far, it seems like everyone has embraced the journey back to that sleepy Connecticut town, with even Melissa McCarthy stating she was happy to return to the revival (after ages of negotiation due to scheduling conflicts) and even wants more episodes. Still, how much does Graham's stamp of approval weigh when it comes to further expanding the series? Well, while there are so many beloved characters that inhabit our favorite television small town, it would be sacreligious to have Gilmore Girls without, you know, one half of the Gilmore Girls. Like, I'd certainly miss Kirk or Miss Patti, but I just feel like the show would function poorly if you took Lorelai out of the occasion. The show was all about her dynamic with Rory, and I endured so much secondhand stress whenever those two were feuding. In other words, more Gilmore Girls is reliant on Alexis Bledel's enthusiasm as well, not just Graham's. In fact, the first attempt to extend Gilmore Girls didn't happen because neither Gilmore wanted to do it without each other. Back in 2007, Graham told TV Guide that the network initially had plans about continuing the series with Rory only, but it never panned out. "I don't want to speak for her, but we both went back and forth. Ultimately, neither of us wanted to do it without the other one," Graham said at the time. Another thing to consider is that as the four episode mini movies haven't debuted yet, we can't properly gauge how it's going to end — will more episodes even make sense? Though as a fan I'd love more episodes, I wouldn't want them if it didn't feel like there was room for them, because there's nothing worse than when a television series outstays its welcome. So, for now (aka until the new Gilmore Girls episodes finally hit our laptops and TV screens via Netflix) let's just be grateful that Lorelai still considers Stars Hollow her home... and worry about more return trips later.